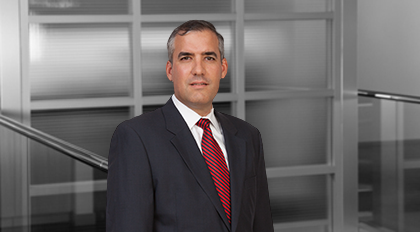 Joe Fernandez is a member of the firm’s management committee and is Co-Head of Moore & Van Allen’s Corporate Practice. Responsive, diligent and client-focused, Joe forms close, long-term relationships with his business and energy clients by understanding their needs and delivering timely, practical solutions to their complex transactional matters — including purchase, sale and finance transactions for strategic parties, financial institutions and private equity groups. He represents energy companies in corporate finance and project finance transactions, in acquisitions and divestitures of project companies, in negotiating and drafting project contracts, and in the operation of electric generating facilities. Joe has served as project counsel to electric generating facilities located around the country, including facilities in North Carolina, Virginia, West Virginia, Florida, Texas, California, Arkansas, Massachusetts, Pennsylvania, New York, New Jersey, Ohio, Indiana, Minnesota, Wisconsin and Idaho. Joe also has substantial experience negotiating and documenting fuel and fuel transportation agreements for both coal and natural gas-fired electric generating facilities. Joe has represented multiple electric generating projects in connection with the implementation of long-term parts supply and service agreements, parts storage and warehousing agreements, operation and maintenance agreements and other management services arrangements. He has also negotiated major equipment supply and option agreements, including agreements for the sale of new and “gray market” turbines and generators. Selected for inclusion to the 2010 - 2012 North Carolina Rising Stars list, which is included in the North Carolina Super Lawyers magazine. Graduate, Leading the Way program, United Way of the Central Carolinas, Inc. Represented Ares EIF Management, LLC in connection with the sale of Brooklyn Navy Yard Cogeneration Partners, L.P., the owner of a 286 MW steam and electricity generating station located in New York City, to an investment fund managed by Axium Infrastructure. Represented Ares EIF Management, LLC in connection with the sale of a portfolio of four coal-fired electric generating facilities to an investment fund managed by Starwood Energy Group Capital. Represented Calypso Energy Holdings, LLC in connection with the sale of the 330-megawatt Indiantown Cogeneration facility in Indiantown, Florida to Florida Power & Light Company for $451 million (including existing debt). Represented Morgantown Energy Associates in the refunding of existing variable rate exempt facility revenue bonds and the issuance of approximately $51 million of new fixed rate tax-exempt energy revenue bonds for Morgantown Energy Associates, a waste coal-fired generating facility in West Virginia. Represented Ares EIF Management, LLC in connection with the sale of a 41.3% stake in Selkirk Cogen Partners L.P., the owner of a 432MW natural gas-fired combined-cycle cogeneration facility in New York, to a subsidiary of Alterna Core Capital Assets Fund II, L.P. Represented Energy Investors Funds in the redemption of senior and subordinated bonds issued by Windsor Financing, LLC and the refinancing of two coal-fired electric generating facilities located in North Carolina and Virginia with a $246 million term loan and cash-collateralized letter of credit facility. Represented Energy Investors Funds in the refunding of existing tax exempt bonds and the issuance of $127 million of subordinated tax exempt bonds for Indiantown Cogeneration, L.P., a coal-fired generating facility in Florida. Represented Energy Investors Funds in the refunding of existing variable rate exempt facility revenue bonds and the issuance of approximately $107 million of new fixed rate tax-exempt and taxable pollution control revenue bonds for Chambers Cogeneration Limited Partnership, a coal-fired generating facility in New Jersey. Represented Energy Investors Funds in the refunding of existing variable rate exempt facility revenue bonds and the issuance of approximately $60 million of new fixed rate tax-exempt and taxable pollution control revenue bonds for Logan Generating Company, L.P., a coal-fired generating facility in New Jersey. Represented Energy Investors Funds in the extension and restructuring of a $70 million credit facility for Logan Generating Company, L.P., a coal-fired generating facility in New Jersey. Represented Energy Investors Funds in the restructuring and extension of a $102 million bond letter of credit facility backing variable interest rate bonds for Chambers Cogeneration Limited Partnership, a coal-fired generating facility in New Jersey. Represented Northampton Generating Company, L.P., a waste coal-fired generating facility in Pennsylvania, in connection with a Chapter 11 plan of reorganization, restructuring approximately $95 million of outstanding indebtedness and receiving a new equity investment of approximately $10 million from investment funds managed by Energy Investors Funds. Represented Energy Investors Funds in the restructuring and extension of a $25 million working capital and letter of credit facility for Selkirk Cogen Partners, L.P., a gas-fired generating facility in New York. Represented Tyr Energy, Inc. in the substitution of the letter of credit issuing bank and agent and the amendment and extension of an approximately $32M letter of credit facility for the Plains End project, a gas-fired generating facility in Colorado. Represented Cogentrix Energy, LLC in the sale of a 50 percent indirect interest in two coal-fired electric generating facilities in Virginia to funds managed by Quantum Utility Generation. Represented Cogentrix Energy, LLC in the acquisition of Sunray Energy, Inc., the owner and operator of facilities formerly known as Solar Energy Generation Systems I and II (SEGS I and SEGS II), which were the first two utility-scale solar trough plants built in the world. Represented Cogentrix Energy, LLC in the sale of its 50 percent stake in Birchwood Power Partners, L.P. to subsidiaries of General Electric Capital Corporation.